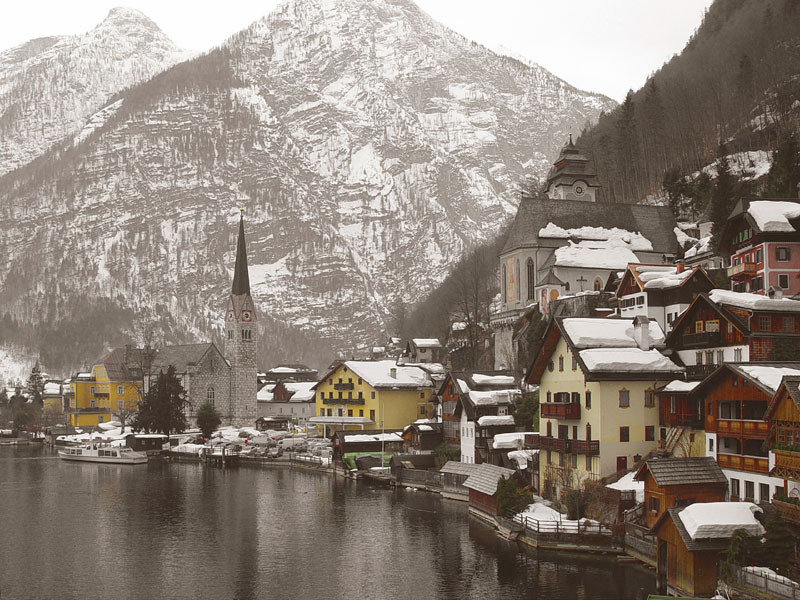 Tucked away in the mountains of Austria you’ll find the tiny town of Hallstatt. 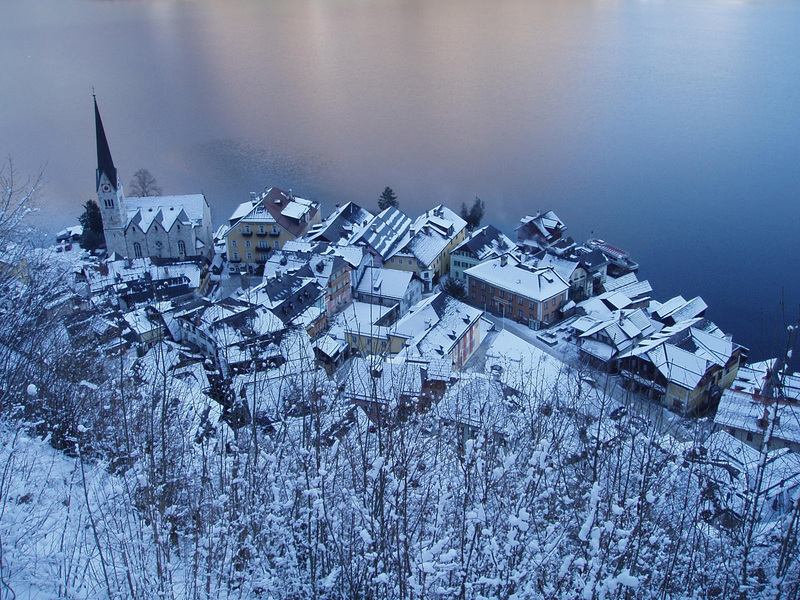 Hallstatt and its population of less than 1000 residents rest on the southwestern shore of the Hallstätter Sea. In addition to the picturesque view of the town on the lake, tourists can see the world’s first salt mine, enjoy nearby skiing, take a trip to the World Heritage Museum, and visit the Dachstein ice cave. Though this village is very small, there are a few different hotels and restaurants to choose from. Beautiful pics. My wife and I have been there a couple of times, and it really is that nice. Unbelievable location, beautiful (if cold) lake, and great hospitality from the locals. Beautiful!!!! they bring back such great memories!! I want to go there for Christmas. What a beautiful place, you could live 10 life times and never get to see all the beautiful places in the world. I guess we have to be thankful for shared photographs. Thank you. Of course a beautiful place to visit and even to live there! wow i wish i will be there. 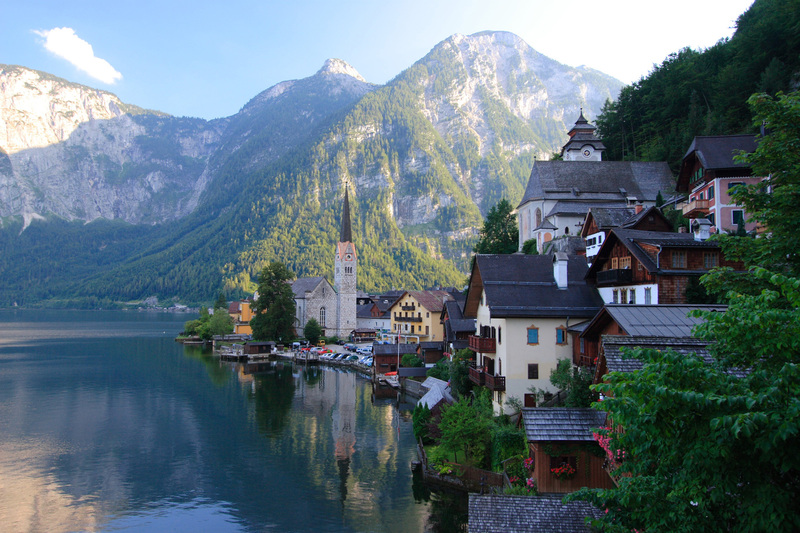 Hallstatt, Austria … OR HEAVEN! 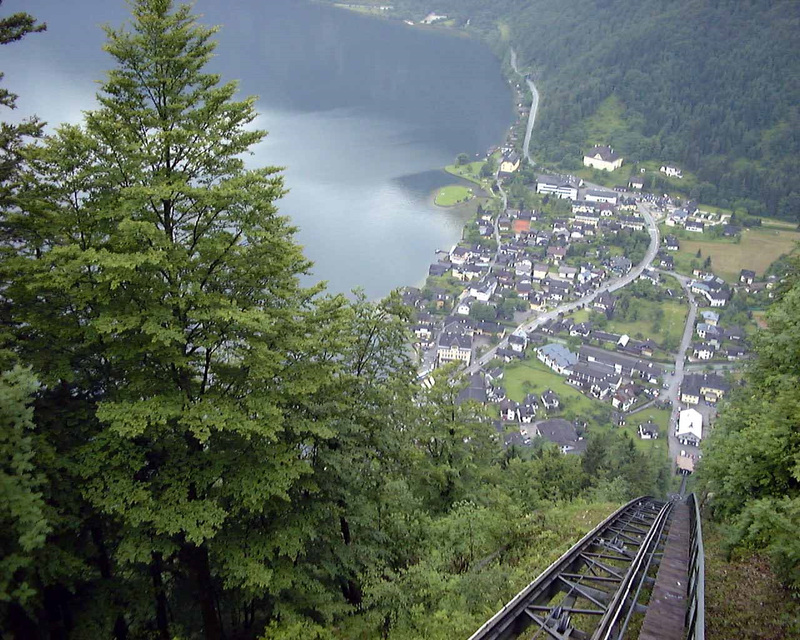 What I beautiful pictures, I visited Hallstatt with my family in 2007, it was a sweet memories for us. I love Hallstatt and wish to visit again if I have chance. What a stunning place. I went last winter to Obertauern for a ski season – it was amazing. I’d love to go during the warmer months as well. Any suggestions on best season to get there?